Over the last 25 years, I’ve encountered many stereotypes and misconceptions about Poland during those years, and I was asked many more or less stupid questions based on those stereotypes. I was asked one of the first questions of this kind by an old English couple during my first trip to Scotland. I met them on the Isle of Arran, while sightseeing some ancient monuments. When I told them that I came from Poland, I noticed they were abashed. They started to behave a bit strange and I knew they were trying to ask me a question, but they were afraid. So I asked them: what do you want to ask me? "Now, after communism has fallen, do you have electricity, radio and television?" The other common stereotype about Poland of that time that I became aware of was that our society was made up of poor and sad people. Well, I don't want to defend the oppressing communist regime with its secret police, prisons and censorship. 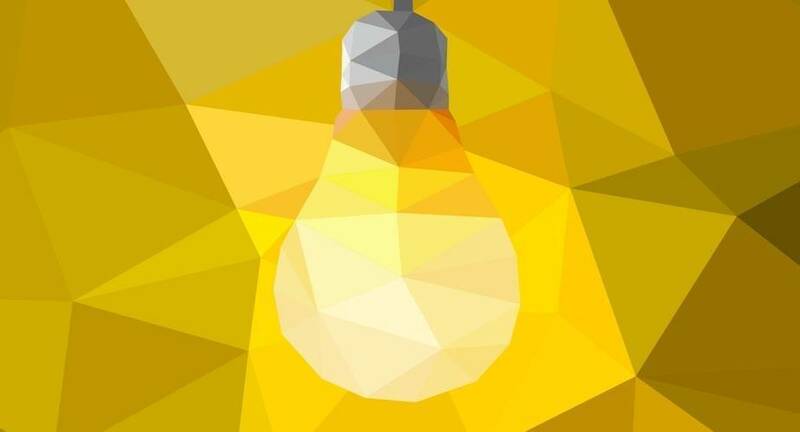 Of course there was a permanent lack of any goods — I remember myself walking as a kid with pride through the city with a cluster of toilet paper rolls slung across my chest; toilet paper was a good of a special importance and was in permanent scarcity — and there were blackouts quite often. But it wasn't sad and dull reality, at least not as much as some people in the west were taught. I was born in 1974, and the first things I can recall are from 1976. My mother and I were living in a small apartment (you would call it one bedroom, but in fact the living room was my mother's bedroom, and a small bedroom was mine) in a blockhouse in Lodz (a city in the heart of Poland). It was a typical communistic living estate full of blockhouses and tower blocks made of concrete. In the West such kind of areas were usually the poorest parts of towns and cities, but not in Eastern Europe. They were of relatively high standards compared to the old 19th century tenant houses in the city center, with central heating, gas, hot water, and a balcony. The communist regime, in an attempt to build its own utopia with a permanent lack of apartments, put into those blockhouses people of every sort, on every step of the social ladder. There was a thief, and a university professor, a musician from the city philharmonic orchestra, a dentist, a bus driver, a policeman and a teacher living next to each other. In fact, this kind of forced equality worked well, and even today those living estates are occupied by people of different professions. In the late 1970s and early 1980s, all the consumer electronic devices and appliances we had were a refrigerator, vacuum cleaner, black and white TV set, a monophonic radio and a reel-to-reel tape recorder. All of them were made by branches of the Polish state consumer electronic enterprise, Unitra. There were some early color TV sets imported from the Soviet Union, called Rubins, but due to their poor manufacturing quality some of them blew up and caused fires. The most important device was, of course, a TV set. At that time - in the late 1970s and 1980s - there were only two channels of state television. In the first year of martial law (1981), we had only one TV channel. Of course there was a lot of communist propaganda, especially on the main news program broadcast every day at 7:30 PM, but compared to other countries behind the Iron Curtain there were also a lot of Western productions on state TV. Those ran the gamut from Disney and Warner Bros cartoons through popular science documentaries to American serials and movies. The movies and serials were broadcast late on Saturday nights. American movies were also showing at theaters. One of the most iconic photos taken during first days of martial law in Poland in 1981 is photo by Chris Niedenthal showing Cinema "Moscow" in Warsaw with a big poster of "Apocalypse Now" on the front wall and the MPV's of the Polish Army securing the area. With one, two or sometimes three years of delay after their release in the U.S., many American movies were shown in Poland. I remember as a kid watching E.T., Star Wars episodes IV, V and VI, Raiders of the Lost Ark, and Back To The Future as well as TV films like "The Day After" (about a nuclear apocalypse). In the mid-1980s, when personal computers were already present in Poland, we even saw a cult film for many hackers, geeks and nerds - "WarGames". Coming back to TV, apart from American films being shown there were a few very interesting popular science programs. One of them, on channel 2, was "Kino Oko" (Cinema Eye), presenting interesting documentaries about nature, science etc. The other one, titled "Sonda" (in English, “a probe”), was the best popular science program in the history of Polish television. During 12 years (usually every Thursday evening), the duo of economist Zdzisław Kamiński and physicist Andrzej Kurek presented one particular topic or problem of popular science. It was a cult series for the entire Polish population. Unfortunately, it ended unexpectedly with the tragic death of both hosts in a car crash. In the beginning of 1980s it was on "Sonda" where I saw a computer for the very first time. There was an episode about personal computers, and how they could be used in offices, in design and entertainment. Although as a kid I found it interesting, I didn't instantly become a computer fan. A year or two later, during the summer, a magic caravan stopped on the spacious parking site just a few blockhouses away from my place. Inside there were pinball machines and one arcade game - Asteroids. I was sold! From that day on I spent every penny I got from my mother for that game. A few months later the owner moved from the caravan to a small house, setting up an arcade. There were more games, like Defender, Moon Patrol, Donkey Kong, Pac-Man and a few others. Every day after school, kids occupied this small building, not only playing but also watching games, decades before Twitch appeared. That game arcade was a place of magic, but also it was a bit dangerous. Sometimes, the older kids were literally robbing the younger ones of money. 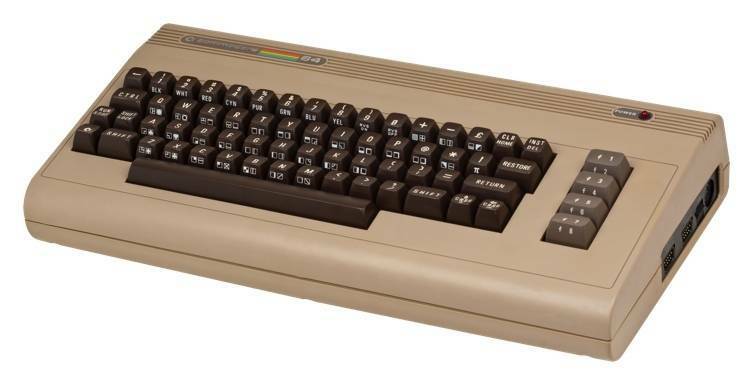 Meantime, the first 8-bit computers were brought from the West to Poland. In 1983, I touched a real computer for the first time in my life. In the middle of Baluty district of Lodz - a former ghetto of Litzmannstad (that's what Lodz was called during WW2) - I played games on a Commodore 64, a computer made by a company founded by a man who had grown up in the same place where I was spending weekends and who had survived that ghetto - Jack Tramiel. It's worth mentioning that a few years earlier Commodore was the company interested in buying Apple, and even Steve Jobs was ready to sell it. Well, it was not my C 64. I could only touch it once a week during a BASIC programming course. To be honest, I was attending not to learn programming, but to play games. The first hour was a programming course, and next 30 minutes was for playing games. Imagine ten kids and one computer. 50 minutes spent on a bus one way was worth it for a short time of magic. Next year, a small computer club opened in one of cultural centers. I attended a meeting every Monday. At that time there was only one Sinclair ZX Spectrum Plus, a black and white TV, and a clunky Polish cassette recorder, ironically called a Data Recorder. Loading games took a few minutes, and many times it was interrupted with a "tape loading error" message. But those games with their 256 x 192 pixel graphics were real magic! We played titles like Manic Miner, Jet Set Willy and Knight Lore. The other place I could at least watch computers working and games being played was at a small computer fair. In the beginning, it was a place where one could buy pirated software, but later there were computers for sale, too. It's worth mentioning that due to the COCOM embargo, no modern technology was allowed to be officially exported to Eastern Bloc countries. So all computers were brought, and many times smuggled, into Poland by ordinary people. In the mid-1980s, the communist party and the government realized that the computer revolution could not be stopped and could actually move a undeveloped country a bit forward. The first computers started to appear in shops. The Timex 2048 computer (an American ZX Spectrum clone) was available via a Polish chain of scout shops. That was funny -- you could buy a rucksack, boots, a tent, a boy or girl scout uniform, and a computer. 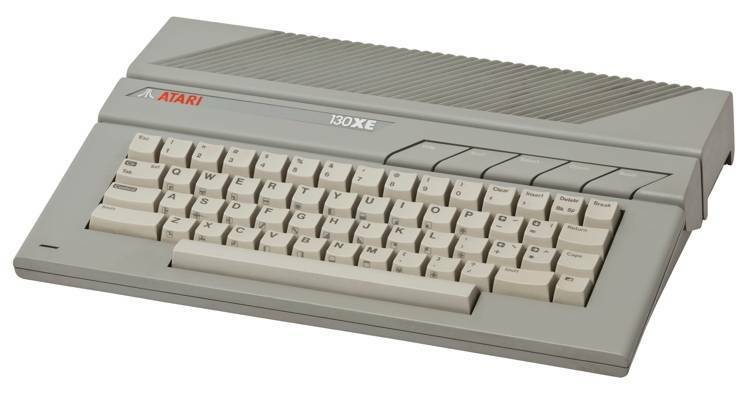 One could also buy Atari XL/XE computers with peripherals (tape recorder, disk drive, printer) at special dollar shops called "Pewex". That chain was a kind of an alternate reality in a country suffering the worst economic crisis in decades. It was hardly possible to buy quality food or other goods in the shops paying with Polish Zlotys. A common picture of that time is of completely empty shops and supermarkets with nothing on the shelves. However, the black market was very strong and there were dollar shops full of all sort of goods. In my granny's neighborhood there were three of them. One was a grocery store with all of the typical Western world sweets, cans of Coke (in the 1980s, Coke was only available in regular shops in Warsaw and Katowice; in Lodz and other parts of Poland one could only buy Pepsi), Mars bars and even canned Polish ham that was usually exported from Poland. At that time, a real chocolate bar was a luxury -- you could find only bars made of something that vaguely resembled chocolate -- so my nose was often stuck to the front window of that dollar grocery store. The second shop was filled with cosmetics and toys, with plenty of Lego sets. And the third was a radio and television shop full of stereo and TV sets as well as Atari computers. You could get all of those things by paying in dollars, British pounds, French francs or German marks. There was even a special Polish alternate currency with special banknotes issued by the Polish national bank worth 1, 5 or 10 dollars. That radio and television dollar shop was the place where my mother bought me my first computer - an Atari 65 XE. It's worth mentioning that the official import of both Timex 2048 and Atari XL/XE didn't break the COCOM embargo. In 1986, both computers were already a bit outdated, but they let Polish computer fans not only play games, but start programming. Unfortunately, my mom could afford only a computer without peripherals, so I spent the next three or four months retyping BASIC programs from the available computer magazines. My favorite one was a simple clone of Breakout. Written in BASIC and machine code it took me about an hour to retype it into my Atari. When I got a dedicated cassette player for data storage, I was almost in heaven. Together with American movies in the theaters, on TV or on VHS tapes - VHS players became popular in the mid to late 1980s - those computers were a sparkle of the Western world. Despite the official state propaganda presenting theSoviet Union as our first and biggest ally, people were watching Rambo and Rocky IV, and playing games like Green Beret or Raid Over Moscow (that one presented the Soviet Union as one big military camp with watchtowers and barbed wire fences). By that time there were thousands of great games available, copied from one disk or cassette to another. New technology like computers or VHS players were a luxury. Having the tech wasn't seen as an act of resistance, and computers were in use by both sides including the communist regime. In 1985-86, Polish computer magazines began to flourish one by one. Some of them were printed in greyscale on paper of the lowest possible quality, but were full of small listings of the code of BASIC programs. Others were full color and tabloid size, printed on a much better paper, but not the best - the best quality thick paper was reserved for a propaganda magazine that was used to promote the Soviet Union among Polish society (remember, Poland was not a part of Soviet Union, it was a satellite country). 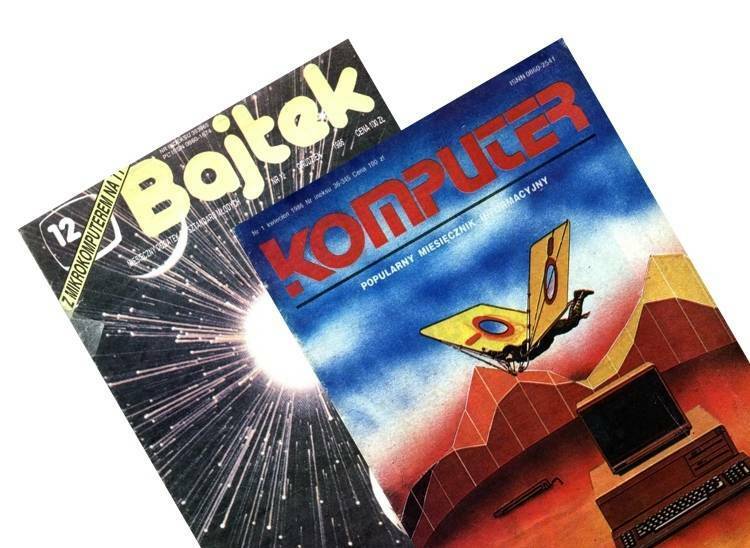 After a few months, only two computer magazines survived - "Bajtek" (the diminutive of the word Byte) and "Komputer". While the first one targeted teenagers and the latter more advanced and mature users, both were read by all computers fans in Poland. And it was hard to get them - the circulation was rather low due to the permanent lack of everything, including paper and ink, in a failing communist state, so I usually had to search for each issue throughout the city, checking newsagents one by one. Despite being years behind the West, Poland had some interesting computer projects that were ahead of their time. One of them was a special multimedia vinyl album from one Polish pop band. Yes - a multimedia vinyl. 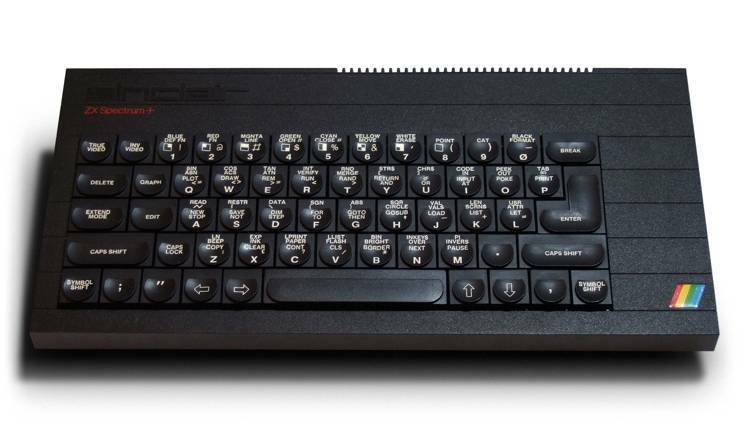 The last track recorded on it was the sound of a program for the ZX Spectrum. After connecting a record player to a computer, one could load a simple application presenting the musicians of the band. There was also a radio show called "Radio Komputer", during which programs for ZX Spectrum, Atari and Commodore were broadcast over the air. Having a radio-cassette recorder, one could record them and load them on your own computer. In this reality, Apple computers were almost nonexistent in communist Poland in the mid 1980s. There were a few brought or smuggled from the West, but the quantities were so low that almost nobody knew anything about them. I got know about them not from Polish computer magazines, but through some popular American news magazines. In 1986, the husband of my mother's friend came back from a trip man the United States bringing with him a lot of stuff, including a pile of Time and Newsweek magazines. Since I could speak and read very little English at that time, I was just looking at pictures and ads. There were advertisements for Apple machines like the Apple IIc and Macintosh and I wondered "what are those strange machines, and what does that Apple mean?" (despite knowing that English word). The same year I got know more about the computers and the company thanks to a few rather rare articles and publications. One of them was a book titled "Personal Computers" that presented all aspects of the industry including computers, peripherals, operating systems and programming languages. In that book I finally read more about the Apple IIc, Apple IIGS, Lisa and Macintosh. Unfortunately, Macs were out of reach for most computer fans in Poland. They cost a fortune, not only in the late 1980s, but in the 1990s too. A few DTP studios, publishing houses and media agencies got Macs, but even for them it was a lot of money to spend. To get the money to buy a proper Macintosh, one would have to sell an apartment. Today it's an urban legend, but the price of Macs in Poland was really unbelievably high. At the beginning of the 1990s, I could afford only the Atari ST, a 16-bit computer based on the same Motorola 68000 processor as the Macintosh and equipped with a graphical user interface similar to the Mac. Once again, I was using a computer made by a company owned by my local compatriot, Jack Tramiel. As many other Poles who emigrated or fled to the USA, he changed his surname to make it easier to pronounce in the English-speaking world (he emigrated to the USA after World War II). Before that, his name was Jacek Trzmiel, with "trzmiel" being a Polish word for bumblebee. 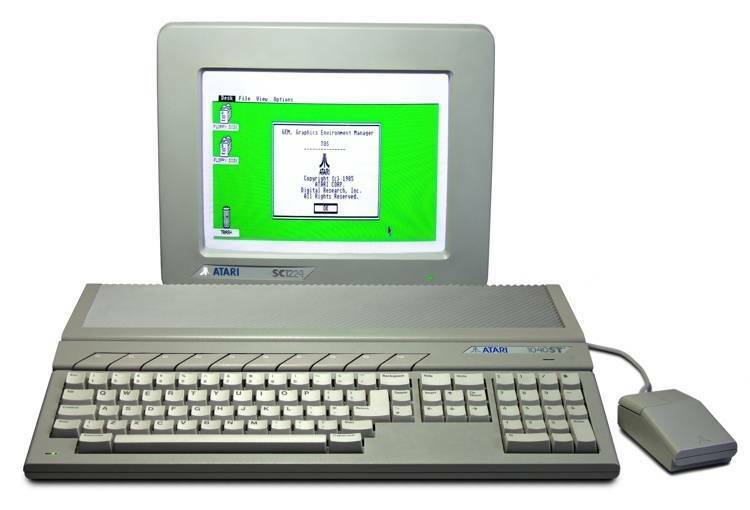 The bumblebee was an element of the Atari ST's operating system GUI. It was equivalent to the old Macintosh watch icon or the modern Macintosh beachball, and it was a great -- albeit subtle -- reference to his roots. For my own Mac, I would have to wait many more years.